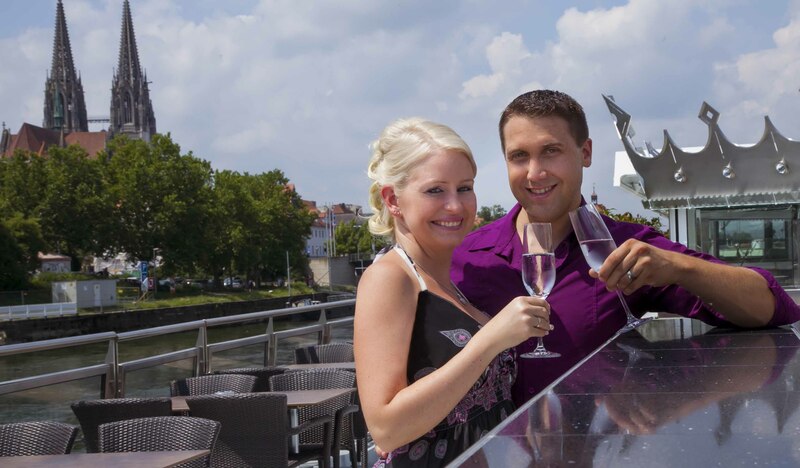 Regensburg is the fourth biggest city of Bavaria and has a population of over 150.000 people. Its exposed location at four river made the city to an extraordinary economical leader already in former times. A walk through the historical old town is the best way to explore the beauty of this midieval town. The Old Town with Stadtamhof was appointed as UNESCO World Heritage in 2006. 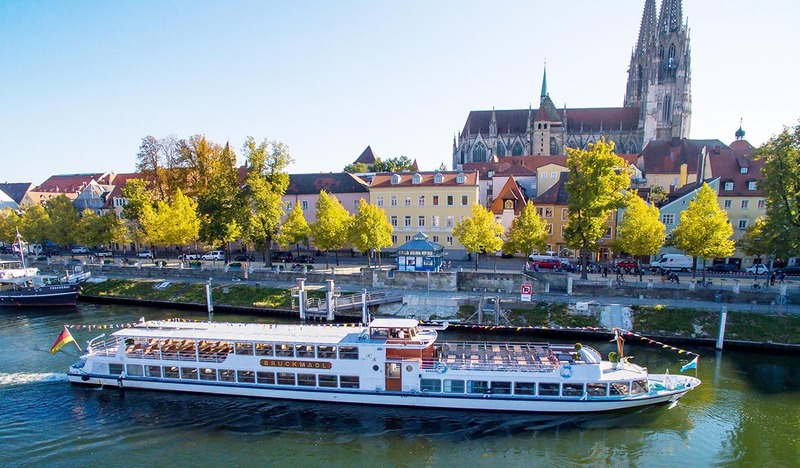 Explore the gothic cathedral Saint Peter, the old town hall, the Stone Bridge, the Porta Praetoria and a lot more. 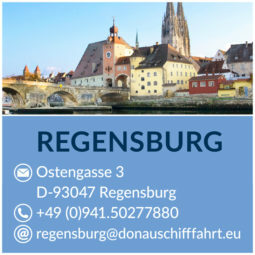 You can find more information about Regensburg here. 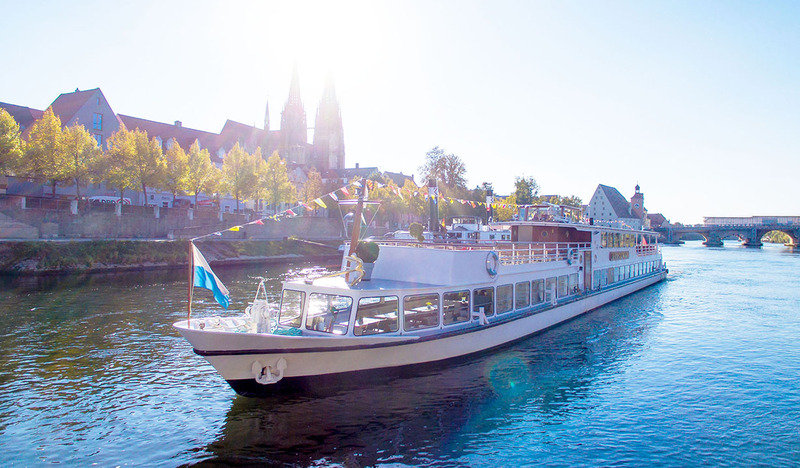 Our docks are located at the Historical “Wurstkuchl” no. 1 directly at the Stone Bridge.